The Festival of Ethical Photography of Lodi was created and is managed purely on a voluntary basis. Its purpose is to bring the general public close to ethically significant content using photography as a means of communication and knowledge, analysing different nuances of the delicate/fine relationship between ethics, communication and photography. The Festival has come to the attention of the public thanks to the quality of its exhibitions and the participation of worldwide known photographers present in previous editions. The Festival wants to be at the service of photojournalism, of the kind of photography that tells stories, that makes you think and that is increasingly more difficult to be seen in the media. 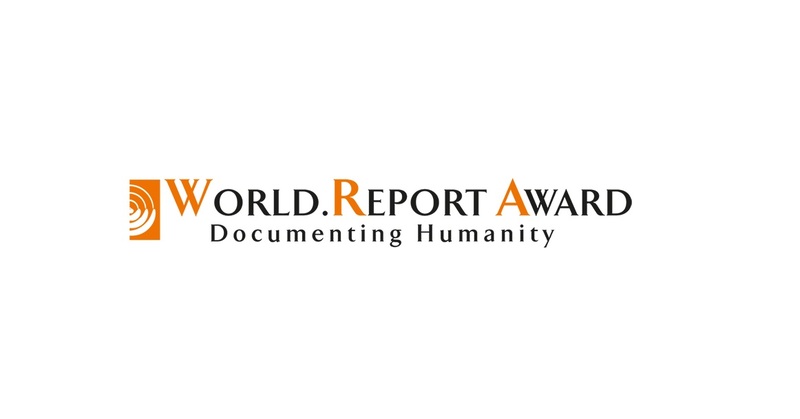 The World.Report Award aims at a new form of social commitment through photography. The award is open to both professional and amateur photographers from all over the world. The award will give attention to works focusing on people and their social or cultural stories; public or private, minor or crucial, major human tragedies or smaller daily life stories, changes and immutability. The main focus of the evaluation of the reportages will be the story that the project tells through compelling images submitted. The awards are intended to sustain economically photographers who are actively engaged in this sector of photography and that are often not paid properly. - This category is open to all photographers, with no restrictions of any kind. - Reportages must consist of 20 images minimum and 40 images maximum. - The prize will be 5,000 Euros, before taxes. - This category is open to all photographers who have never received one of the following awards before April 1st, 2019: World Press Photo, W. Eugene Smith Grant in Humanistic Photography, Pulitzer Prize, POYi Picture of the Year and World.Report Award, with exception of the multimedia category. - The prize will be 2,500 Euros, before taxes. - Reportages must consist of 5 images minimum and 10 images maximum. - The prize will be 1,500 Euros, before taxes. - This category is open to students currently enrolled in a school of photography or who graduated from a school of photography after January 1st, 2018. - The prize will be 1,000 Euros, before taxes. - This category is open to all photographers with no restrictions of any kind. - The work will be represented in a single shot. - The prize for first place will be 1,000 Euros, before taxes. The top 30 finalists of this section will have their photos exhibited during the 2019 edition of the Festival. The participation is open to all photographers with no limitations of any kind. Every photographer can submit as many bodies of works as one likes. The photographer grants the use of the images of the awarded reportage for the creation of an exhibition that will be shown during the Festival of Ethical Photography 2019.